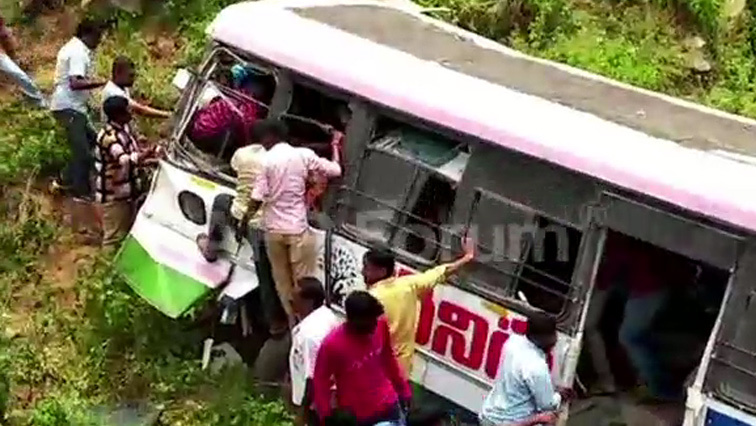 Overcrowded bus plunges into India gorge, killing at least 55 - SABC News - Breaking news, special reports, world, business, sport coverage of all South African current events. Africa's news leader. India has the world’s deadliest roads, with almost 150,000 people killed in accidents in 2016, the latest government data shows, up 3.2 % from a year earlier. This entry was posted on 11 Sep 2018,03:00PM at 3:00 PM and is filed under World, Homepage Featured Story Slider. You can follow any responses to this entry through the RSS 2.0 feed. Both comments and pings are currently closed.